Join WrestleCrap for LIVE Monday Night Raw coverage! - WrestleCrap - The Very Worst of Pro Wrestling! 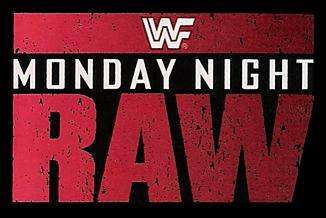 Tonight’s the 20th anniversary celebration of WWE Monday Night Raw and, wow, what a coincidence: it’s also the first ever night of live Raw coverage by the staff at WrestleCrap.com! * Follow Justin Henry on Twitter as he live-tweets his observations through the night. WARNING: those averse to self-entitled sarcasm and mockery, don’t click that link. 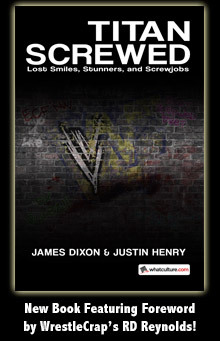 * Join the WrestleCrap gang on Facebook to enjoy the show with fellow site readers. 4 Responses to "Join WrestleCrap for LIVE Monday Night Raw coverage!" I loved that Raw 20 dedicated an entire segment to Wrestlecrap on their show tonight.